Whether you’re looking to entertain the kids, or head out and enjoy a meal with some friends, Cracker Barrel has a wide menu of delicious food for you to enjoy. 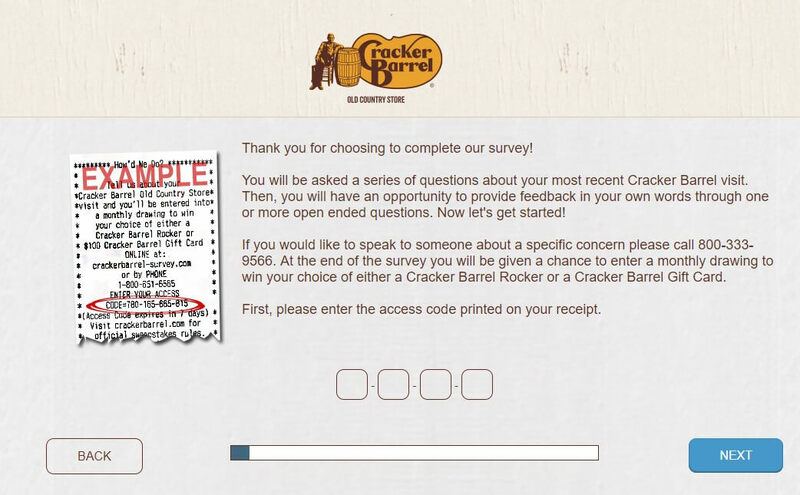 And, if you’ve recently dined at one of their locations, Cracker Barrel is officially inviting you to take their survey and go in the chance to win an awesome rocking chair! 🙂 Sounds amazing!! Want to read the official rules? Click here to download them. If the code is correct, you’ll be invited to take the survey. Otherwise, you may get an error message. Re-enter your survey code and try again. 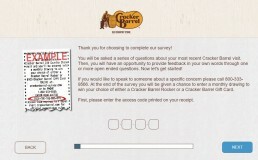 How likely is it that you’ll re-visit this Cracker Barrel based on the experience you had? 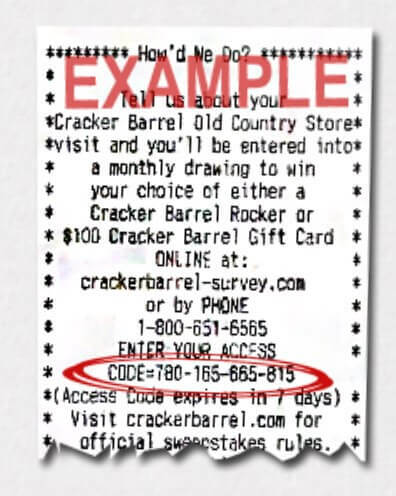 How likely is it that you’ll recommend this particular Cracker Barrel to family and friends on a scale of 1-10? How was the friendliness of their staff? And the speed of the service? Did you encounter any problems during your visit? 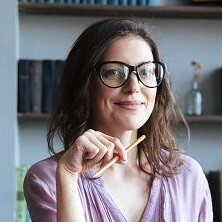 What about the atmosphere of the restaurant? Was it comfortable and clean? Was your meal made to an acceptable quality? How satisfied were you with the overall value? Cracker Barrel is a unique place in that it’s not only a restaurant, it’s also is a gift store and it’s all about the southern theme. They currently have over 600 stores in the US and one of their super appealing traits was the effort they put into their restaurant design. They made it so that it resembled an old school, southern General store that even had rocking chairs out front, how fun! It’s no wonder they’re giving away one of these comfy rockers in the survey sweepstakes. Even the little ones love them! 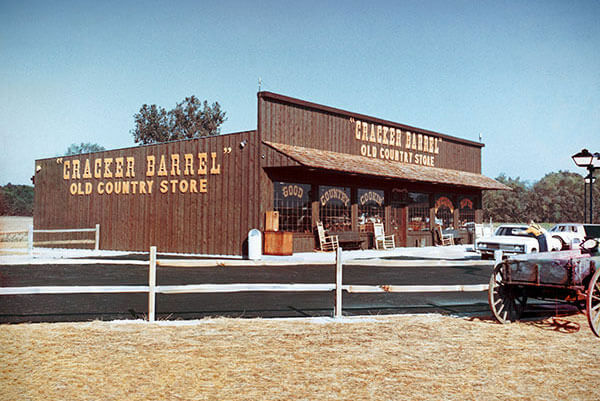 The company was founded almost 50 years ago, back in September of 1969 by Dan Evins who came up with the whole country store theme based on those general stores that he’d visited when he was a kid. He chose to have the restaurant located right by the highway, as a rest stop kinda place for weary travellers. The first restaurant was situated just off Interstate 40, by a town called Lebanon in Tennessee. They were serving up typical southern dishes of biscuits, ham and turnip greens (yum). More restaurants began popping up in the early 70s and he even had gas pumps installed at some locations, making the whole place even more weird and wonderful! In the 80s the company began to drop the whole idea of pumping gas and eventually it was totally phased out. By 1987 there were 50 restaurants across 8 states. The 90s saw more growth for the company and in 1994 they trialled a store that did carry-out only service. They also decided to spice up their menu by offering state specific options such as salsa and eggs in their Texas branches. By 1997 they had over 300 stores and aimed to open another 50 per year for the next 5 years. That sure was ambitious of them. In 1991, the company came under scrutiny when they were reported to have fired several members of staff due to not displaying “normal heterosexual values”, they dropped this so-called ‘policy’ in 1992, after a huge backlash from the community. However, it wasn’t until the early 00s that the company officially added sexual orientation into their non-discrimination policy…not too progressive if you ask me. You may already know that Cracker Barrel is known to collaborate with big artists and create albums which they sell in their restaurants. But were you aware how big these celebs actually were? I’m talking big names here – the most iconic singer had to be Dolly Parton, she teamed up with them to release a 2-disc album which sold ½ million copies and got a gold certification! Not bad for a restaurant CD! Those rocking chairs that grace the storefronts of all cracker barrel locations are 100% American made. They’re put together by the Hinkle Chair Company, that was founded out of Springfield, Tennessee. It’s nice to see them supporting all American companies . Like many restaurant chains in the states, you can grab yourself a secret treat, all you need to do is ask…They actually can whip up a milkshake for you, despite it not being on the menu. They’re pretty awesome and so you can thank me for that later! Unfortunately, despite speculation, they’re NOT associated with the yummy Cracker Barrell cheese, I thought you may want to know… because I sure did. There’s nothing more All-American than the Cracker Barrel Rocking Chair Bowl. I know this about you right now, but like cracker barrel sells these really good neapolitan coconut bars. And I really wish I had one right now. Otherwise, have a read of their FAQs to see if your question has already been answered. Or you are more than welcome to give them a call on 800-333-9566. Lastly, you can send them a message through their website here.